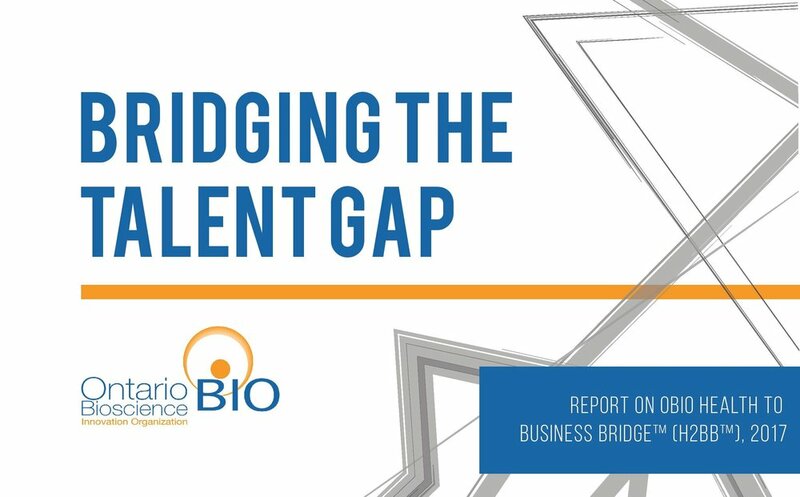 On November 27th, as part of OBIO's Annual Public Meeting, OBIO will be launching our latest report, Bridging the Talent Gap, on the unique value of OBIO’s Health to Business Bridge (H2BB™) business internship program in 2017. Be among the first people to hear about how H2BB addresses the challenge of pulling top talent to Ontario's health science industry. Register for OBIO 2017 Annual Public Meeting to hear more on November 27.